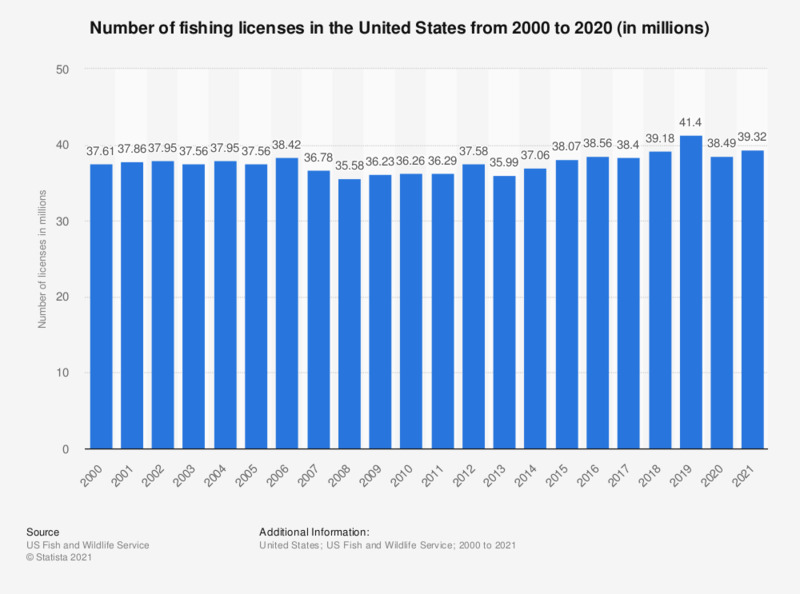 This statistic shows the number of fishing licenses in the United States from 2000 to 2018. In 2018, there were approximately 39.18 million fishing licenses, tags, permits and stamps in the United States. * Persons who fished in more than one state are counted in each state where they fished. Includes total number of licenses, tags, permits and stamps.